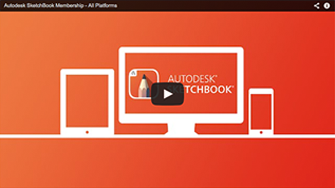 Welcome to SketchBook Support and Learning! One SketchBook. All Your Devices. Capture everything from your simplest doodles to your most elaborate ideas, no matter where you are, with the powerful drawing application that works across all your devices. 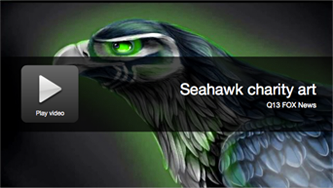 Isabelle, a self-taught 14 year old Hawks fan created this beautiful version of the Seattle Seahawks logo in SketchBook Pro. When she shared her artwork on Quarterback Russell Wilson's Facebook page it went absolutely viral with 1200+ likes and 3000+ shares. Fans immediately demanded prints of her artwork. Her parents helped her set up a website where they can be ordered at www.seahawkart.com. Do you have a Pro subscription? 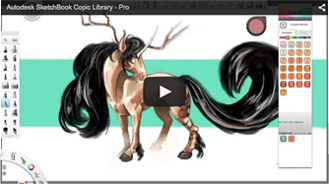 These features are offered with a subscription and are included with a purchased license. Having login problems? Click here.